Remembering The Cronin Tenure — OhVarsity! photo by Emily Witt | OhVarsity! It’s official. After 13 seasons, Cincinnati basketball looks towards the future without Mick Cronin at the helm. In the days after the Bearcats’ loss to Iowa in the NCAA Tournament, it became clear that having to write this post was a serious possibility. It doesn’t make it any easier, though. How do you condense 13 winding seasons into 1,000 words? I guess I’ll start with the facts. Cincinnati brought Cronin, alumni and former assistant, back home in March 2006. The university went through a messy divorce with Bob Huggins the previous summer and quickly found themselves hurdling headlong into the grinder that was the Old Big East with just a single scholarship player on their roster. To call the task facing Cronin “daunting” would be an understatement. Imagine hammering the first spike in the Transcontinental Railroad only to look up and realize you’re 1,800 miles from California. The fact that Cronin navigated the early days is nothing short of heroic. Eleven wins in 2007. Thirteen wins in 2008. Eighteen wins in 2009. Nineteen wins in 2010. Twenty-six wins and a second-round appearance in 2011. Twenty-six wins and a Sweet 16 in 2012. And all of this in the nation’s toughest basketball conference with hardly more than a hammer to his name at the outset. Another fact: The achievement of the relatively quick turnaround was probably lost on many Bearcat faithful. It’s easy to forget, given the last nine seasons, that the program was in dire straits 10 or 11 years ago. Mick has been stacking up wins for so long that the average current UC student likely doesn’t even remember a time when the Bearcats finished a season with a losing record. The fact is that Cronin helped rebuild Cincinnati basketball from the ashes in a gauntlet of a conference, only to suffer a fall from grace when the business of college football pushed Cincinnati from the Old Big East into the American Athletic Conference. Despite the roller coaster of fortunes, Cronin leaves Clifton with nine straight tournament appearances under his belt (something just four programs in the country can claim to have done better) and 26 wins per year in that stretch. I can’t reiterate enough how impressive that is. The cloud hanging over his tenure is, and will forever remain, the NCAA Tournament shortcomings. Cincinnati basketball’s momentum swelled to a head in 2012 when the program, dramatically, reached the Big East Championship Game and surged to a second-round NCAA Tournament victory, punching a ticket to the Sweet 16 a week later. What felt to many like a flag planted at the top of the mountain never proved to be that when it came to March. For as much as Cincinnati succeeded in the seven years that followed, they could never get back to that second weekend. The tournament is a beast, and I truly hate how it’s used as the definitive metric to grade coaches, teams, and programs. The regular season stretches 31 games, and a weekend tournament against conference foes follows it. This is more than just a five-month exercise to seed a 64-team, single-elimination field. Sometimes that doesn’t feel like the case. Fair or not, March matters. Fair or not, Cronin’s teams got the short end of the stick for years. The 2013-14 group, which overachieved for a full season, is tainted by its Spokane loss against Harvard in a classic 5-12 trap game. The 2014-15 team had to play without Cronin for most of the season but managed to beat Purdue in the first round for the right to stare down a 36-0 Kentucky team in what amounted to a road game. The 2015-16 bunch weathered one of the worst curses I’ve seen in the regular season, yet managed to qualify for another tournament appearance in Spokane where they lost a heartbreaker at the buzzer. Mick Cronin 2.0 was clicking by 2016-17, and that team bounded to 30 wins and a second-round appearance, only to face draft pick-laden, 31-win UCLA in—you guessed it—California. It was just the second time a pair of 30-win teams met in the second round in NCAA Tournament history, and UC took the fall for it. Things finally broke Cincinnati’s way in 2017-18. Twenty-seven regular season wins and an AAC Tournament Championship yielded a 2-seed and a favorable matchup against Georgia State and Nevada in Nashville. What transpired in the second round was nothing short of horrific and will, unfortunately, go down as the defining moment of the Cronin tenure for many. The 2018-19 season brought lower expectations. Most of us didn’t expect much more than a ticket to the tournament through the backdoor, but the Bearcats peeled off 25 regular season wins and a second-consecutive AAC Tournament title. While the 7-seed the selection committee gave them felt like a slap in the face, they felt good about playing a game in Columbus. Cronin himself said as much. A crushing loss against Iowa proved to be his last as a Bearcat. I didn’t know that at the time, but I can tell you it felt heavier than depressing losses usually do. It felt like something had reached a breaking point. Sometimes those rough patches are smoothed over. This time it wasn't. Fair or not, Cronin is leaving Cincinnati with perhaps his two most disappointing losses coming in his last two NCAA Tournament games. Reading the fan base, I get the sense that bad taste will be the first thing that comes back to many when they reflect on the Cronin tenure. That’s not fair, but then again, who knows what’s fair? I’m sure some will choose to disagree, but the failures will never cloud the successes for me. He left Clifton better than he found it. I wrote about this when UC parted ways with Tommy Tuberville in 2016, but a funny thing happens when you get older: You start to care about what your alma mater does besides winning. You begin to care about the kids that wear your alma mater’s name on their jersey. You start to care whether or not those kids are graduating and how they’re succeeding off the court. To that end, it’s hard to imagine anyone doing better than Mick Cronin did. 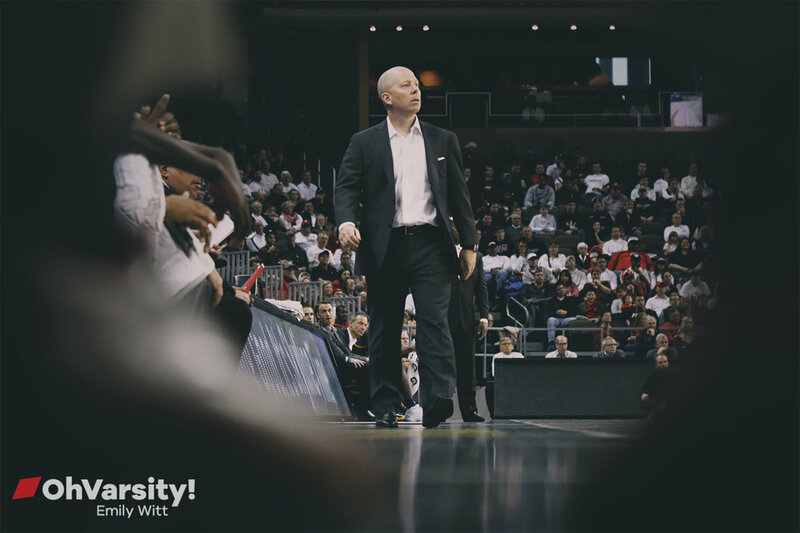 The world of modern college athletics can be sticky and slimy, but Cincinnati basketball avoided that for the duration of Mick Cronin’s tenure, especially in the last six or seven years. Being able to claim athletes like Gary Clark, Troy Caupain, Trevon Scott, and many others is a blessing. For that, I can’t applaud Mick enough. The Bearcats have played more memorable basketball games in the Cronin tenure than I can list here. I worry I'm glossing over the countless good days he brought to Clifton. The last three years, especially, were ones I’ll never forget. But my loyalty to Cincinnati runs deeper than one man, homespun as he was. Adversity and failure have a weird way of intensifying my love, so I’ll be back in the fall (and the fall after that), no matter who Mike Bohn hires. I’m excited about what's next, and I’ll be right there with the Red and Black, regardless of the mystery of days to come. What’s left is murky. Cincinnati looks toward the future, and a pair of pivotal recruiting classes, without a conductor on the train. For a university that's often managed to skirt logic, to both its benefit and detriment, logic says they'll probably get worse before they have the opportunity to get better. 2019 Ohio Mr. Basketball Samari Curtis hangs in the balance, as does 2019 AAC Player of the Year Jarron Cumberland. Looming on the horizon are three open scholarships in the 2020 class. On the to-do list for the new coach is maintaining Mick Cronin’s breakneck regular season pace while also exceeding his NCAA Tournament failures. Expectations are high, and there are a lot of moving pieces to be steadied. Just like Cincinnati fans were saying 13 years ago, the new guy has his work cut out for him. Because of Cronin and his sweat for 13 years, success won’t be defined by building the railroad, but by keeping the locomotive on the tracks. For that, I’m grateful. Thanks, Mick.